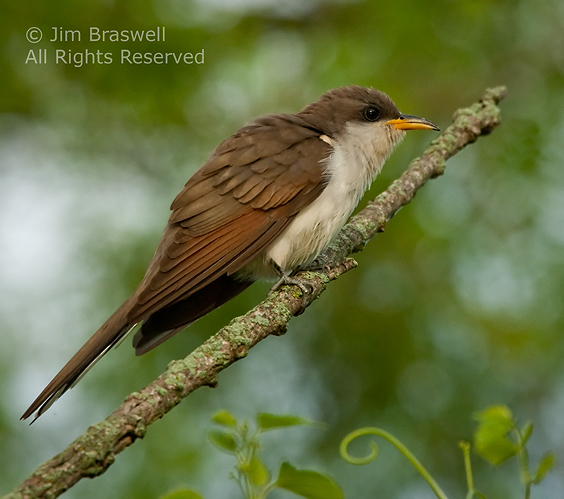 And by "time", I'm referring to the Cuckoo bird. In Part 1 of "Birding From a Kayak", I featured some of the warblers that I have found and photographed, while kayaking some local, Missouri waterways. In today's Part 2 post, I'm sharing some images of a very special bird that is often difficult to see or photograph on land ... but I have found it can be (relatively) easy, when navigating the waters by kayak. 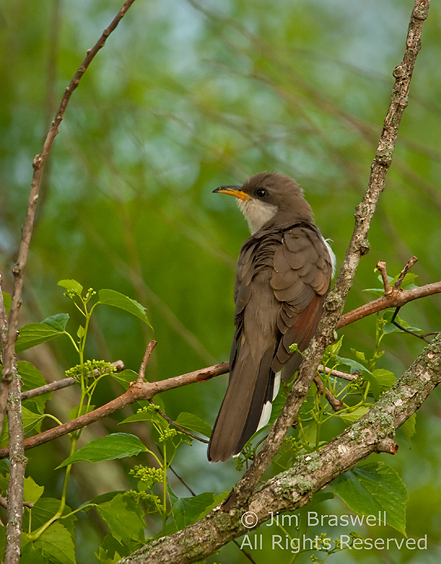 This special bird, and I never tire of seeing one, is the Yellow-billed Cuckoo (Coccyzus americanus). These birds are typically heard, but not seen. 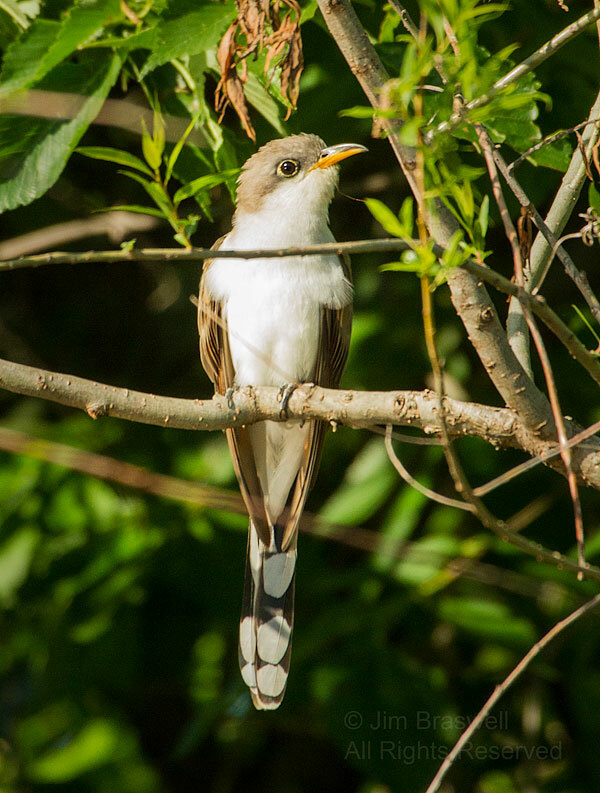 Their staccato clatter, slowing as the call ends, is the trademark call of the Yellow-billed Cuckoo. And that's as close as many get to seeing this beautiful bird. However, sitting quietly in the kayak, I have had several close encounters when one flies into a tree, directly above or near where I am sitting. Here are a few of my favorite images that I've captured from the kayak, of this secretive bird. This bird has also been called "the rain crow". Can it accurately predict rain? Sometimes, it can ... but then, sometimes the local meteorologist on the local news can accurately predict it, too. 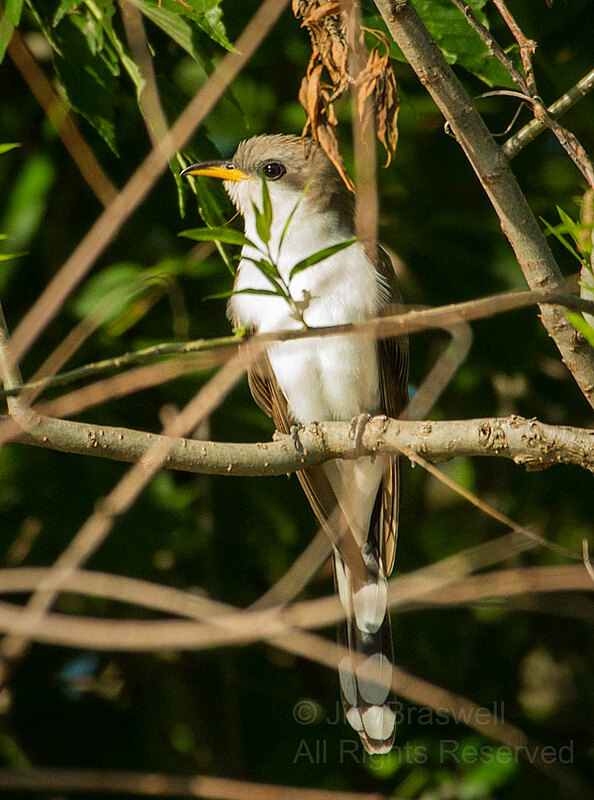 And last year (2012), we were in an extreme drought ... but I still heard the unmistakable call of the Yellow-billed Cuckoo many times. You be the judge! This post was authored by Jim Braswell of Show-Me Nature Photography. 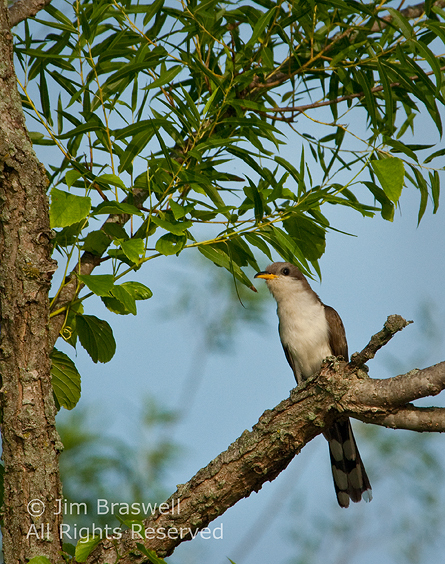 Jim, you certainly captured some spectacular images of Yellow-billed Cuckoos! I have seen these birds a few times but never noticed the spots on the underside of the tail. Very cool. Birding by kayak is AWESOME! 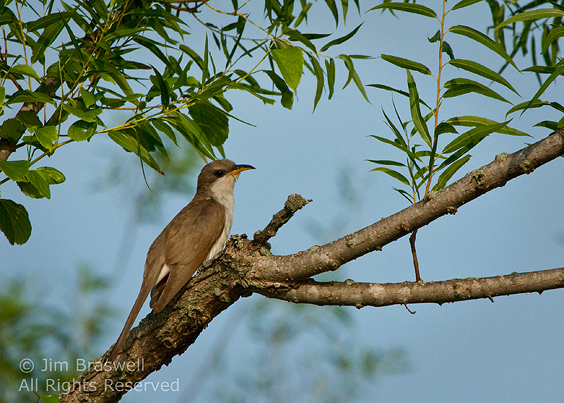 Thanks, Julie, and yes, the cuckoos are quite a unique bird! Jim, I have only seen this species a few times but have never been able to capture a photo of it. You have done the job beautifully! Great post, Jim! I have heard but never seen it. You got some fabulous images!